Narcan Training at ServiceLink of Coös County. 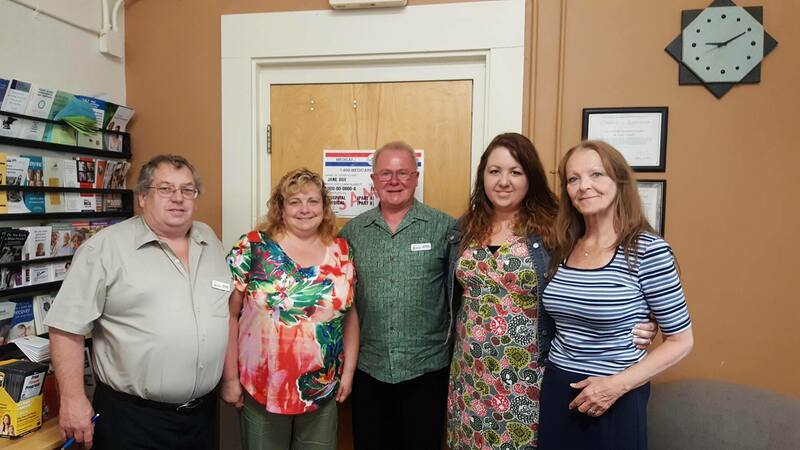 As Coös SeviceLink a Tri-County community action program serves all members of our community and county, and makes home visits to those clients, the staff at SeviceLink in Berlin decided the ability to administer Narcan in an opioid overdose situation should be something they should be trained in. Elaine Belanger, Public Health Coordinator for North Country Health Consortium, stepped up to the plate for this training. Elaine came to our offices and provided an in-depth presentation for the entire staff. Topics covered included a definition of Narcan, mechanism of action, indications for use, and how to administer Narcan when needed. ServiceLink is the second ServiceLink in New Hampshire and the only ServiceLink north of Manchester to have the entire staff trained in the use of Narcan. ServiceLink/TCCAP of Coös County is also pleased to coordinate and sponsor a Narcan training/education event for the entire community. This free presentation will occur on Thursday, July 27 from 6 to 8 PM. We are pleased to have another expert presentation from North Country Health Consortium. The event will be hosted by Brookside Park Apartments and will be held in the office conference room at 155 Maynesboro St in Berlin. In addition to the education and training, there will also be a Q&A session. Through this collaboration, we hope to train as many community members as possible while we respond to the current opioid epidemic.